1. Dowell D, Haegerich TM, Chou R. CDC guideline for prescribing opioids for chronic pain - United States, 2016. JAMA 2016;315:1624–45. 2. Meghani SH, Knafl GJ. Patterns of analgesic adherence predict health care utilization among outpatients with cancer pain. Patient Prefer Adher 2016;10:81–98. 3. Bryan M, De La Rosa N, Hill AM, et al. Influence of prescription benefits on reported pain in cancer patients. Pain Med 2008;9:1148–57. 4. Rhee YO, Kim E, Kim B. Assessment of pain and analgesic use in African American cancer patients: Factors related to adherence to analgesics. J Immigr Minor Health 2012;14:1045–51. 5. Laird BJ, Scott AC, Colvin LA, et al. Pain, depression, and fatigue as a symptom cluster in advanced cancer. J Pain Symptom Manage 2011;42:1–11. 6. Ferreira KA, Kimura M, Teixeira MJ, et al. Impact of cancer-related symptom synergisms on health-related quality of life and performance status. J Pain Symptom Manage 2008;35:604–16. 7. Craig BM, Strassels SA. Out-of-pocket prices of opioid analgesics in the United States, 1999-2004. Pain Med 2010;11:240–47. 8. Institute of Medicine: Relieving pain in america: a blueprint for transforming prevention, care, education, and research. Washington, DC: National Academies Press; 2011. 9. Institutes of Medicine. Unequal treatment: confronting racial and ethnic disparities in health care. Washington, DC: National Academies Press; 2003. 10. Meghani SH, Byun E, Gallagher RM. Time to take stock: A meta-analysis and systematic review of analgesic treatment disparities for pain in the United States. Pain Med 2012;13:150–74. 11. Cleeland CS, Gonin R, Baez L, Loehrer P, Pandya KJ. Pain and treatment of pain in minority patients with cancer. The Eastern Cooperative Oncology Group Minority Outpatient Pain Study. Ann Intern Med 1997;127:813–6. 12. Nguyen LMT, Rhondali W, De la Cruz M, et al. Frequency and predictors of patient deviation from prescribed opioids and barriers to opioid pain management in patients with advanced cancer. J Pain Symptom Manage 2013;45:506–16. 13. Meghani SH, Thompson AML, Chittams J, et al. Adherence to analgesics for cancer pain: A comparative study of African Americans and whites using an electronic monitoring device. J Pain 2015;16:825–35. 14. Weider R, DeLaRosa N, Bryan M, et al. Prescription coverage in indigent patients affects the use of long acting opioids in management of cancer pain. Pain Med 2014;15:42–51. 15. Meghani SH, Brune DW. A pilot study to identify correlates of intentional versus unintentional nonadherence. Pain Manag Nurs 2013;14:e22-30. 16. Anderson KO, Mendoza TR, Valero V, et al. Minority cancer patients and their providers: pain management attitudes and practice. Cancer 2000;88:1929–38. 17. Downs SH, Black N. The feasibility of creating a checklist for the assessment of the methodological quality both of randomised and non-randomised studies of health care interventions. J Epidemiol Community Health 1998;52:377–84. 18. Ward SE, Goldberg N, Miller-McCauley V, et al. Patient-related barriers to management of cancer pain. Pain 1993;52:319–24. 19. Glare PA, Davies PS, Finlay E, et al. Pain in cancer survivors. J Clin Oncol 2014;32:1739–47. 20. van den Beuken-van Everdingen MH, de Rijke JM, Kessels AG, et al. Prevalence of pain in patients with cancer: a systematic review of the past 40 years. Ann Oncol 2007;18:1437–49. 21. Jacobsen R, Samsanaviciene J, Liubarskiene Z, et al. Barriers to cancer pain management in Danish and Lithuanian patients treated in pain and palliative care units. Pain Manag Nurs 2014; 15:51–8. 23. Miaskowski C, Dodd MJ, West C, et al. Lack of adherence with the analgesic regimen: A significant barrier to effective cancer pain management. J Clin Oncol 2001;19:4275–79. 24. Yoong J, Traeger LN, Gallagher ER, et al. A pilot study to investigate adherence to long-acting opioids among patients with advanced lung cancer. J Palliat Med 2013;16:391–6. 25. Lai YH, Keefe FJ, Sun WZ, et al. Relationship between pain-specific beliefs and adherence to analgesic regimens in Taiwanese cancer patients: A preliminary study. J Pain Symptom Manage 2002;24:415–22. 26. Cohen MZ, Musgrave CF, McGuire DB, et al. The cancer pain experience of Israeli adults 65 years and older: the influence of pain interference, symptom severity, and knowledge and attitudes on pain and pain control. Support Care Cancer 2005;13:708–14. 27. Bennett MI, Bagnall AM, Jose Closs S. How effective are patient-based educational interventions in the management of cancer pain? Systematic review and meta analysis. Pain 2009;143:192–9. 28. Oldenmenger WH, Sillevis Smitt PA, van Dooren S, et al. A systematic review on barriers hindering adequate cancer pain management and interventions to reduce them: a critical appraisal. Eur J Cancer 2009;45:1370–80. 29. Meghani SH, Chittams J. Controlling for socioeconomic status in pain disparities research: all-else-equal analysis when “all else” is not equal. Pain Med 2015;16:2222–5. 30. Meghani SH, Chittams J, Hanlon A, Curry J. Measuring preferences for analgesic treatment for cancer pain: how do African Americans and whites perform on choice-based conjoint analysis experiments? BMC Med Inform Decis Mak 2013;13:118. 31. Meghani SH, Kang Y, Chittams J, et al. African Americans with cancer pain are more likely to receive an analgesic with toxic metabolite despite clinical risks: a mediation analysis study. J Clin Oncol 2014;32:2773–9. 32. Dowell D, Haegerich TM, Chou R. CDC guideline for prescribing opioids forchronic pain - United States, 2016. MMWR Recomm Rep 2016 Mar 18;65:1–49. 33. Chapman CR, Lipschitz DL, Angst MS, et al. Opioid pharmacotherapy for chronic non-cancer pain in the United States: a research guideline for developing an evidence-base. J Pain 2010;11:807–29. The purpose of this paper is to review the published literature that has addressed the associations between disparities and adherence to analgesia among cancer patients. Evidence was examined for outcomes studied, data collection methods, variables studied in relation to adherence, and the magnitude of association based on race and adherence. We performed a systematic search of studies published between 1990 and the present in Scopus, CINAHL, PubMed, Ovid, PsychInfo, and the EMBASE databases. The inclusion criteria consisted of published articles in the aforementioned databases that were (1) set in the United States, (2) primary studies, (3) employed quantitative design, (4) assessed adherence or compliance to analgesics or adequacy of pain management using the Pain Management Index (PMI), (5) sample was exclusively minority or may have had a comparative group. The title and abstract of each article in the the search results was reviewed for relevance to study aims and inclusion and exclusion criteria, and any duplicates were eliminated. A total of 6 studies were found using this method ( Table 1 ), and an additional study was found in the reference list of 1 of these 6. The 7 included studies were observational in nature; 4 were cross-sectional [4,12,15,16], 2 were retrospective [3,14], and 1 was prospective and used objective measures of analgesic adherence  ( Table 2 ). Meghani and Bruner  point out that analgesic adherence is a “heterogeneous construct that lends itself to varied results and interpretations depending on the measurements used or dimensions studied.” Adherence to analgesia was explicitly defined in all 7 studies ( Table 3 ). One study reported an adherence rate that was the total dose over 24 hours divided by the dose prescribed then multiplied by 100 . The total dose over 24 hours was used in another study but was converted to an equianalgesic calculation . Another set of studies used a similar definition but specified percentages based on medication or type of prescription, such as an around-the-clock(ATC) regimen [13,15,16]. In 2 studies, adherence was measured based on chart review of yes/no questions posed about whether or not patients had taken medications as prescribed [3,15]. The measurements of adherence differed between studies. Four studies [4,12,14,16] used adherence as a primary outcome and the rest employed adherence as a facet of pain management [3,13,15]. The most frequent measure of adherence was self-report. 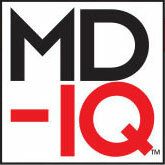 The widely validated Morisky Medication Adherence Scale (MMAS) instrument was used in 3 of 7 studies [12,13,15]. Meghani and Bruner  utilized the modified MMAS plus a previously validated visual analog scale for doses of medication to assess adherence over week- and month-long intervals. One study used patient interviews to capture self-reporting of opioid prescription and opioid use. Additionally, the study used MMAS to further characterize the adherence measurements . Using a more objective method, Meghani et al  employed a microprocessor in the medication cap to determine the percentage of the total number of prescribed doses that were actually taken . The processor sensed when the bottle was open, which served as a proxy for taking medications at appropriate times. 22. National Institutes of Health. Pathways to prevention: the role of opioids in the treatment of chronic pain. September 29–30, 2014. Executive summary: final report. Accessed 10 Sep 2015 at https://prevention.nih.gov/docs/programs/p2p/ODPPainPanelStatementFinal_10-02-14.pdf.